It’s hard to imagine life without asphalt. It covers our roads, parking lots, and even airport runways. Asphalt allows for vehicles to drive on a smooth surface and offers superior protection against rain, snow, and ice. The National Asphalt Pavement Association (NAPA) estimates that around 796,000 miles of roads and over 90% of all parking lots in the U.S. are paved with asphalt. Over 350 million tons of asphalt are produced every year. As popular as asphalt is, it has a slight downside in that it is susceptible to wear and tear. Rain, debris, snow, and ice can prematurely wear an asphalt road or parking lot. Damage starts as tiny cracks, and as time goes by, they turn into major potholes. Seal coating is a maintenance process that can help extend the life of asphalt, provide for safer roads and parking lots, as well as offer substantial cost savings. We’re going to look at what seal coating is and the various benefits it offers. Seal coating is a liquid mixture of ingredients such as binders, clays, fillers, specialty chemicals, and water. It’s applied over asphalt and allowed to cure and dry. If you’ve ever seen a parking lot with a seemingly new black color to it, there’s a good chance it’s just been seal coated. The average life of an asphalt road or parking lot is around 15 years. Around this point in time, cracks and potholes will begin to form. If proper maintenance is not performed, eventually the asphalt will fail, and pavers will need to be brought in to repave the road or lot completely. Seal coating protects and extends the life of an asphalt lot or road. When used as a part of a preventative maintenance program, it can easily extend the life of a parking lot. Considering the cost of having to repave, the cost savings of asphalt maintenance by performing seal coating every few years add up real quick. Seal coating conveys additional benefits above and beyond cost savings for parking lot owners. Public safety is put at risk when people are forced to drive on asphalt that is chipped, cracked, or prone to potholes. Seal coating is not only good for the bottom line, but it’s also good for the environment as well. According to Asphalt Roads, smooth pavement (as a result of seal coating) can reduce fuel consumption of vehicles by around 5%. This translates to approximately $400 in savings per vehicle every year. When is it Best to Seal Coat? Seal coating is best performed anywhere from 12 – 18 months after the asphalt is first laid down. As part of a regularly scheduled maintenance program, it’s advised that the asphalt have another seal coat applied every three to five years after the initial treatment. The only downside to seal coating asphalt is that it cannot fix significant damage that already exists. If the asphalt has been neglected and maintenance not performed, it could be in a state of disrepair that would require it to be repaved completely. 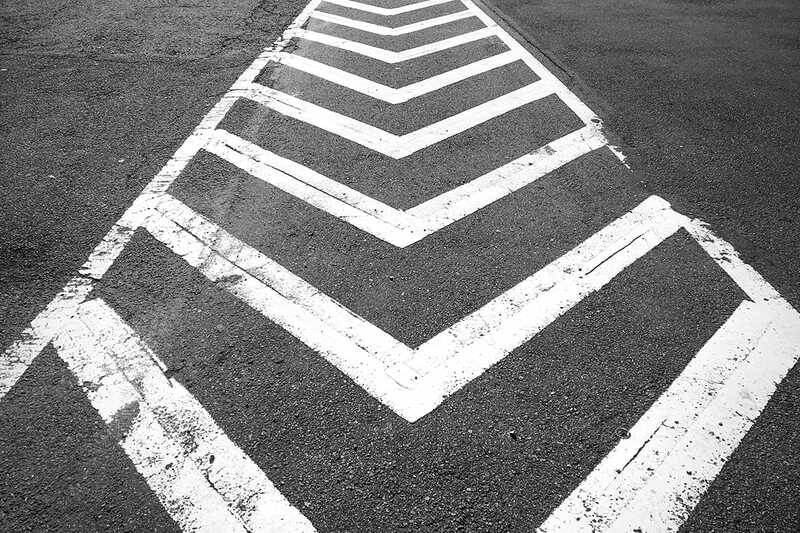 To get a good idea if your parking lot or road can benefit from seal coating, give the experts at Stripe Rite a call at (800) 427-0484. At Stripe Rite, we specialize in pavement markings, seal coatings, and all things to keep your roads and parking lots running and looking their very best. Give us a call today to learn how you can put our decades of experience to work for you!